HALIFAX -- A long-awaited public inquiry into the death of an Afghan war veteran who killed his family and himself in rural Nova Scotia last year could be derailed by jurisdictional squabbling, a leading expert on judicial probes says. The problem: the provincial inquiry is looking at issues that may go deep into federal jurisdiction. 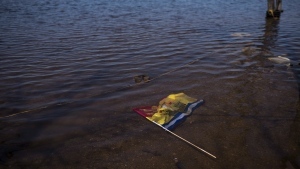 "There may be limits on what the province can look into," said Ed Ratushny, a professor emeritus at the University of Ottawa's law school. "It's a question of constitutional law, as to what the boundaries are between the province and the federal government ... It could be a significant barrier to fully exploring the issue." Almost a year after Lionel Desmond fatally shot himself and his mother, wife and 10-year-old daughter in Upper Big Tracadie, N.S., the Nova Scotia government bowed to public pressure last month when it confirmed a judicial fatality inquiry would be held under the Fatality Investigations Act. The inquiry's terms of reference -- the legally binding rules that govern what the inquiry can do -- are still being drafted by the provincial Justice Department. They were expected to be completed by the end of this month. Ratushny, author of the 2009 book "The Conduct of Public Inquiries," said even if the inquiry is given a broad mandate, the judge's work will be complicated by the fact that he or she will be investigating matters of federal jurisdiction. 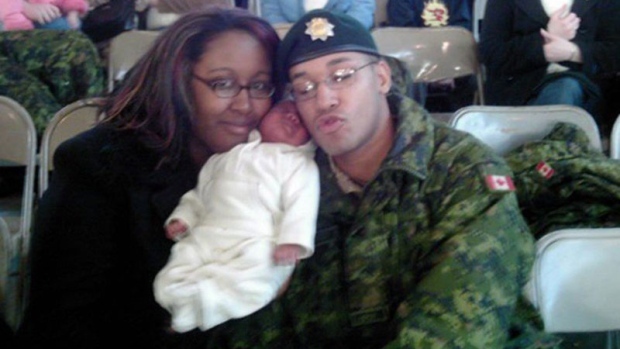 Family members have repeatedly complained that Desmond, who served two tours in Afghanistan in 2007 and was later diagnosed with post-traumatic stress disorder, did not get the help he needed from the federal Defence Department or the federal Veterans Affairs Department. The issues have resonance well beyond the Desmond killings. More than 130 serving military personnel have taken their own lives since 2010, according to National Defence, including eight between January and August 2017. Officials have not been able to determine the number of suicides among veterans, but previous studies have suggested former service members are more at risk than those still in uniform. Veterans Affairs Minister Seamus O'Regan has pledged full co-operation with the provincial inquiry, but that might not be enough, Ratushny said. "If the province wanted to go into subject areas that are exclusively federal jurisdiction, the federal Justice Department will take issue with that and say, 'You can't do that,"' he said. "The (federal) minister can co-operate fully but he can't change the Constitution of Canada in terms of jurisdiction." Ratushny said the two levels of government could have avoided this problem by agreeing to conduct a joint inquiry. This kind of approach was used in 1993 when Justice Horace Krever investigated Canada's worst public health tragedy, in which 1,200 people were infected with HIV and many thousands with hepatitis C through infected blood and blood products. And in 1982, the Newfoundland and Labrador government set up a joint commission with Ottawa to look into one of Canada's worst marine disasters: the sinking of the Ocean Ranger offshore drilling rig, which claimed 84 lives. Peter Stoffer, a longtime veterans advocate and former Nova Scotia MP, said a joint inquiry should have been called in the Desmond case. "I'm hoping the federal government doesn't hide behind any kind of jurisdiction to not provide information," he said. "You have to be suspicious as to why the federal government wouldn't call this inquiry because, maybe, they don't want to know the truth." Stoffer said the terms of reference should require the inquiry to look into what treatment Desmond received before he was medically released from the military in 2015. As well, the investigation should look at Desmond's transition to civilian life, the assistance he received from Veterans Affairs and what interaction he had with the provincial health-care system, he said. Nova Scotia Justice Minister Mark Furey declined a request for an interview. Archie Kaiser, a law professor at Dalhousie University in Halifax, said the inquiry should also explore issues regarding gender-based family violence and mental-health issues. "Those kind of issues need to be explored thoroughly," he said. "I hope that the (provincial) minister will try to ensure that we use this opportunity to effectively explore these complex and interrelated issues ... That's the real nexus here." Kaiser said he wasn't worried about jurisdictional snafus. "We live in a country that has shared responsibilities for so many different government responsibilities. We shouldn't assume that kind of complexity is going to intrude on this inquiry doing its work." He said if the terms of reference are too narrow, that could undermine the inquiry's credibility. "This inquiry has the capacity to suggest areas of improvement in terms of preventing family violence and ... responding to mental-health crises," he said. "I'm guessing the minister ... knows that the government's reputation and his own reputation are at stake at moments like this."